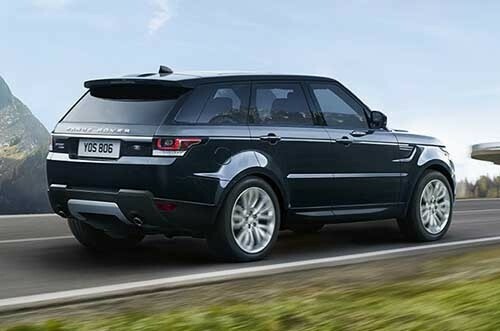 The 2017 Land Rover Range Rover Sport safety features make it easy to take advantage of all the awe-inspiring performance capabilities this vehicle has to offer. When you know you are protected from hazards both on and off the road, you can confidently use this luxury crossover to facilitate your wildest adventures in Flemington. Learn more about the advanced technology and sophisticated engineering in this model before experiencing it in person at Land Rover Princeton. This feature will handle the steering while you park in a parallel or perpendicular spot. You handle the gas and brake while the vehicle does everything else. We have barely scratched the surface of advanced features available to aid drivers in both daily situations or off-roading trysts through Bridgewater. A 360-degree parking aid gives you a top-down view of the vehicle to help you navigate in and out of tight sports with ease. Adaptive cruise control monitors the position of the vehicle in front of you and then automatically slows you down and speeds you back up to maintain a safe driving distance. There is even an autonomous emergency braking feature that will instantly slow your vehicle down if you’re approaching the car in front of you too quickly. When you’re taking road trips around Princeton, this luxury crossover makes traveling equally safe and exciting. Discover how much it has to offer at Land Rover Princeton, where we have an extensive inventory on site as well as a seamless financing process open to all. Plan a trip to our dealership soon, and contact us if you have any questions.